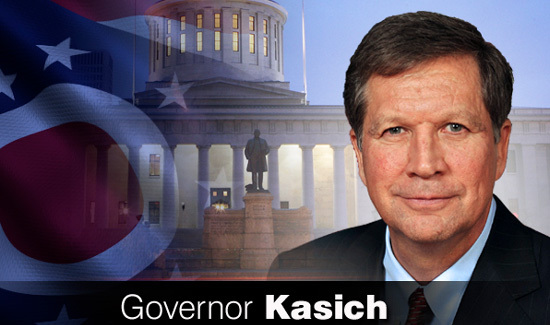 In Ohio, Governor John Kasich is setting up yet another task force on issues in policing. Unlike some of the other policing panels, such as the President’s Task Force on 21rst Century Policing, the Ohio group will be charged with creating first-ever statewide standards for law enforcement agencies. It turns out that while Ohio has some minimum standards for police officers, standards for Ohio law enforcement agencies simply do not exist. Part of the task force mission will be to create some guidelines in terms of policing practices. If a suspect is fleeing the scene of a shooting or possibly an armed robbery does the governor mean the pursuing officers should take no action or should not be prepared to defend themselves? Just another politician riding the vote-sucking wave. From the man who, in his first campaign to run for Ohio’s governorship, was filmed at a campaign event blasting a police officer for writing him a speeding ticket (calling him an idiot, among other things), to the very public attack he took against public safety workers as a whole in his attempt to smash our rights to unionize (where we were called lazy, greedy, and other not-so-nice adjectives), he continues his personal vendetta against the Peacekeepers. I left the Republican Party when his cloak came off, and quite frankly lost what very little trust I had in politicians as a whole (I guess I’m a slow learner). He does not care a bit for our safety or welfare, so you are best to remember the wolf fangs that hide behind the sheepskin should he ever appear to want to help us regarding ANYTHING! God Bless you, Brothers and Sisters, and may He keep you and yours safe!